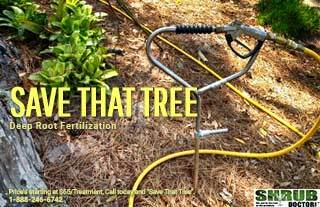 Shrub Doctor provides six organic, contract-free, fertilization treatments to your shrubs and trees annually. Our organic shrub care recipes are blended each morning to assure freshness. Healthy soil is the foundation of a healthy landscape. Shrub Doctor works to improve the soil profile of your plants through periodic soil drench applications and foliar feedings. These organic practices will build vigor and strength in your shrubs and help them resist stress due to plant fungus, plant disease, and insect attacks. Shrub Doctor also incorporates the philosophy of “Integrated Pest Management” where damaging insect activity such as aphids, whiteflys, and scale insects are eliminated through close knowledge and experience of insect life cycles, and by targeting just the specific plant in stress. Our insect controls are also the safest in the industry. Shrub Doctor's goal is to provide assurance and peace of mind to the homeowner. Our personable approach allows the client to have direct access to the owners and staff so that all questions and concerns are addressed promptly and effectively. In addition to our organic plant healthcare services, Shrub Doctor has Certified ISA Arborists on staff to assess the health of your trees and to prolong their life through beneficial treatments and tree preservation techniques. Shrub Doctor’s Save That Tree program provides the homeowner with peace of mind that our tree experts are regularly monitoring their trees to identify tree disease, canker worm activity, and weakness through fungal decay and rot. Shrub Doctor will also prescribe treatments such as Deep Root Fertilization, insect infestation treatments, and treatments to reduce rot, fungus, and tree cavity concerns. Our monitoring and tree care service is the best practice towards a healthy and vigorous tree. 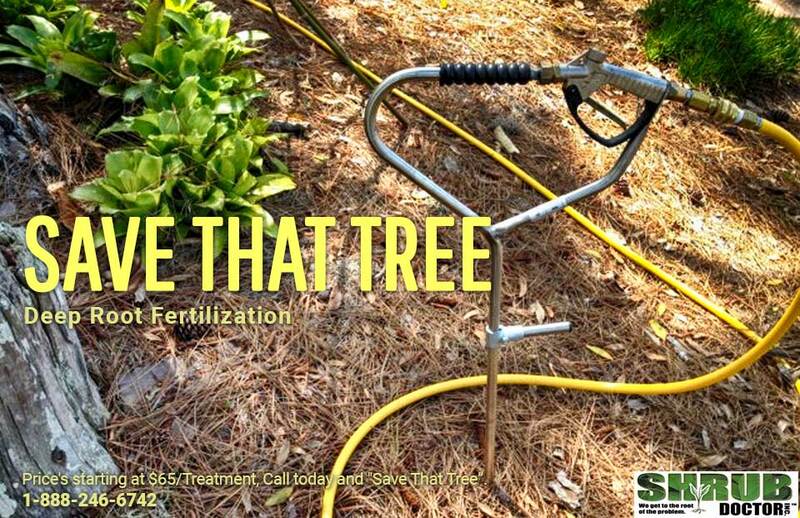 Call Shrub Doctor today for more information on how we can help with your tree healthcare needs.